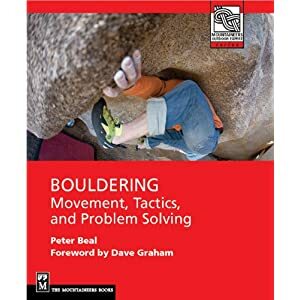 OK, from an action standpoint, this is not the most exciting bouldering video on the Internet but it gives a good sense of what I wanted to do with my book. I was interviewed about the book at the college where I teach so there is more about the intellectual, artistic and aesthetic aspects of the sport, emphasizing the ways in which this form of climbing can enhance a person's life.Thanks to John Feeley for doing this interview. Nice Job Peter! You explained much of bouldering's appeal very well. Thanks guys! Nice to see you are finding cool blocs up in WY. Thought this was going to be an interview with the Fell and Rock Climbing Club!